From 1915 to 1970, six million African Americans relocated from the rural South to the cities of the North, Midwest and West fleeing racial terror and pursuing economic opportunity for their families. Contemplative and experimental, A Thousand Midnights chronicles the manifestation of the economic and social histories of Black Americans who came to the north during the Great Migration. Carlos Javier is a director, cinematographer and documentary photographer who focuses on urban life, gun violence, racism, poverty and marginalized communities. In 2016, Carlos received a Guggenheim Fellowship for film/video. His work has been exhibited in the Schomburg Center for Research in Black Culture, Detroit Institute of Arts, and the Library of Congress. His films have screened at Tribeca Film Festival, Los Angeles International Film Festival, and the Athens International Film + Video Festival. Carlos’ current project is series of short films chronicling the contemporary stories of Black Americans who came to the North during the Great Migration. Beginning with his mother-in-law’s story, Carlos is exploring the legacy of the Great Migration a century after it began. For Carlos, who moved back and forth between Puerto Rico and the U.S. mainland as a child, the story of a displaced people in search of stability and economic opportunity resonates with his own. Director, Cinematographer and Photographer Carlos Javier Ortiz talks about the choices that went into his emotional narrative of the Great Migration and its effects on the present. Read the Full Q&APBS: A Thousand Midnights is filmed entirely in black and white. What was the creative decision behind this? Carlos Javier Ortiz: My previous film "We All We Got" was filmed in black and white as well. 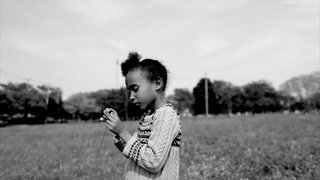 A Thousand Midnights is a part of a trilogy of short films chronicling the contemporary stories of Black Americans who came to the North during the Great Migration. Beginning with my mother-in-law’s story, I’m exploring the legacy of the Great Migration a century after it began. Filming in black and white was a creative decision to make these connections. Reel South is an anthology series highlighting the best non-fiction storytelling from across the American South. Distributed to public television stations nationally, the series brings diverse Southern voices, topics and points of view into millions of homes. REEL SOUTH was made possible, in part, by a grant from the Corporation for Public Broadcasting (CPB) to the University of North Carolina Center for Public Television. The series is a collaboration between UNC-TV, South Carolina ETV, and theSouthern Documentary Fund.